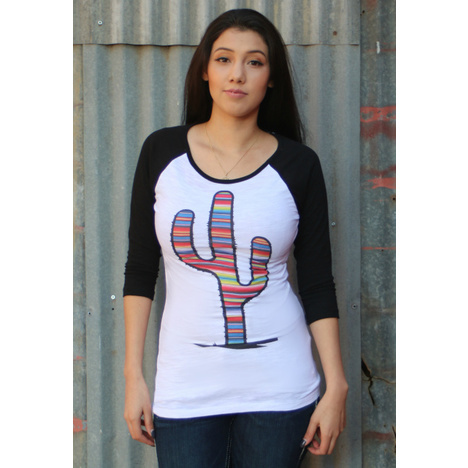 Brand: Original Cowgirl Clothing Co.
Let this Serape Prickly Cactus baseball t-shirt add a pop of color to your outfit! 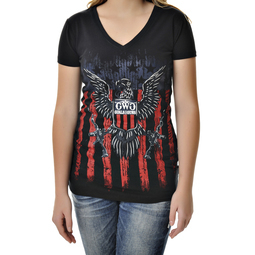 This t-shirt is printed with organic inks. CARE INSTRUCTIONS: Machine wash warm with like colors. Use only non-chlorine bleach when needed. Tumble dry medium. Do not iron image.